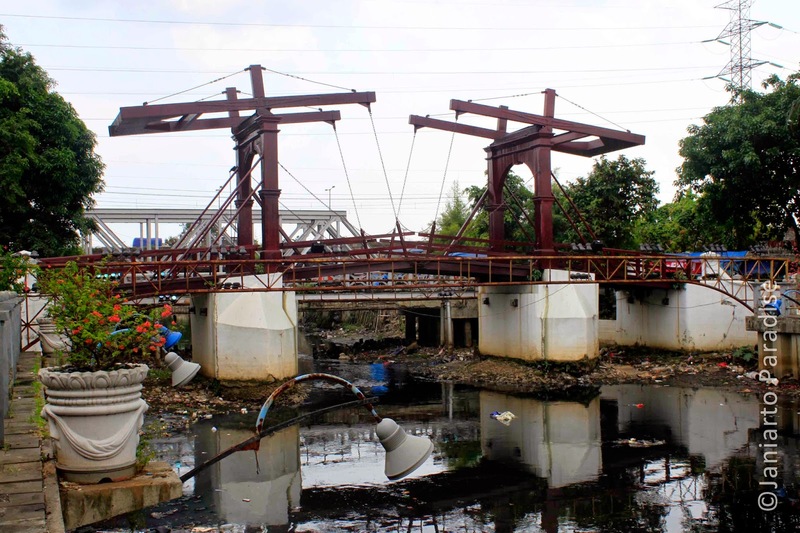 Kota Intan Bridge is one of the heritage objects in the old town area of Jakarta as determined by the Governor No. 457 in 1993 which Concerning on Heritage Buildings Determination in DKI Jakarta area. 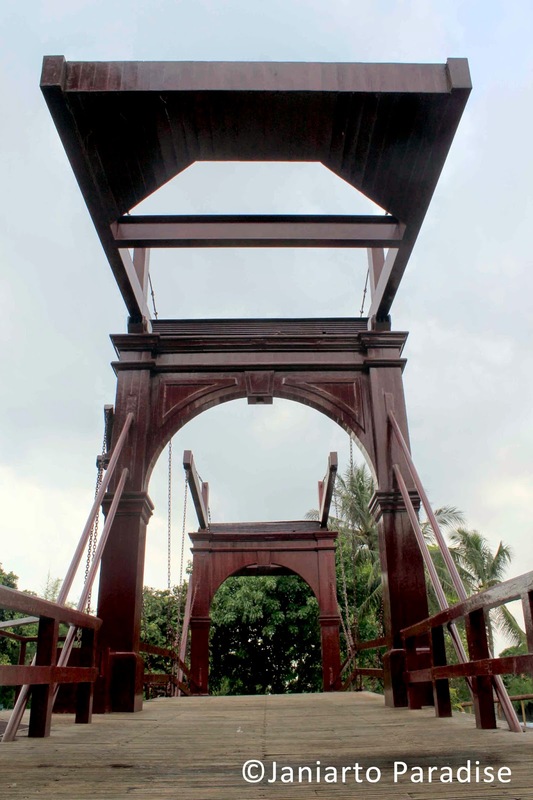 Kota Intan Bridge was build ini 1628 by VOC, and thereafter underwent several name change. The first name was Engelse Brug (England Bridge) which given when it connects the Dutch Fort and England Fort. This bridge located at Kali Besar (Great River). 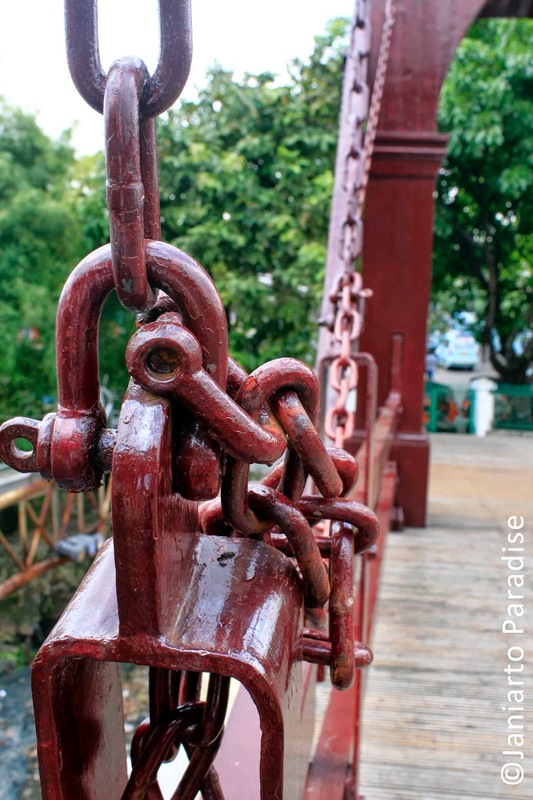 After Banten and Mataram attacks on Batavia Castle in 1628 and 1629, the bridge was broken. It was rebuilt in 1630 by the Dutch and known as De Honder Pasarburg (Chicken Market Bridge) because itu close to the chickern market. Kota Intan was the last name it has. It is assumed that the name relates to its location which was close to one of Batavia caslte bastian named Bastian Diamant (Intan - Diamant - Diamond). In April 1938 the bridge was reconstructed to a drawbridge so the boats can pass and to prefent flooding which often happened. The shape and style was not changed, but the name changed to Ophalsbrug Juliana or Juliana Bernhard. This drawbridge is the only remainder of the kind that Dutch Goverment had ever built.